According to recent reports, energy drinks are consumed by 30% to 50% of adolescents. 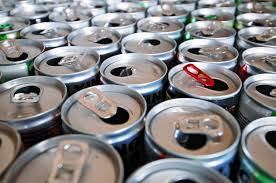 Some teens admit to drinking more than one can of the drinks in a day. However, experts warn that regular consumption of energy drinks may cause heart issues in teens and even death. Alex’s mother asserted (1) strict products liability (design defect), (2) strict products liability (failure to warn), (3) negligence (design, sale, manufacturing), (4) negligence (failure to warn), (5) fraudulent concealment, (6) breach of implied warranties, and (7) wrongful death. The Morris case is one of more than a dozen filed against the Monster Beverage Corporation in which there are similar medical claims of collapse or death after drinking the caffeine-laden drinks. As of the time of this blog, the Morris case has not gone to trial. Monster Beverage Corporation has settled some the claims against it. The drinks are particularly hazardous to teenagers. According to the FDA, soda manufacturers are not allowed to have more than 71mg per twelve ounces. However, energy drink companies like Monster are not subject to such regulations and hence do not feel obligated to label the caffeine content in their beverages. The case mimics a similar one in 2011 when 33-year-old Brooklyn native Cory Terry died of a fatal heart attack 45 minutes before he drank the energy drink, Red Bull. According to a statement by his grandmother Patricia Terry, “He drank the stuff all the time. He said it perked him up.” An $85 million wrongful death suit was filed against Red Bull in 2013 in which lawyer Ilya Novofastovsky says that the company’s beverages contain “extra stimulants that make it different than a cup of coffee.” She further adds that those additions are “more dangerous than what Red Bull lets on.” The case is believed to be the first wrongful death suit against the brand. Med League provides Medical expert witness who is experienced in handling and reviewing wrongful death lawsuits involving defective products, medical malpractice and other types of claims. Contact us for your case.